Beginning at the northwest entrance to Mt. 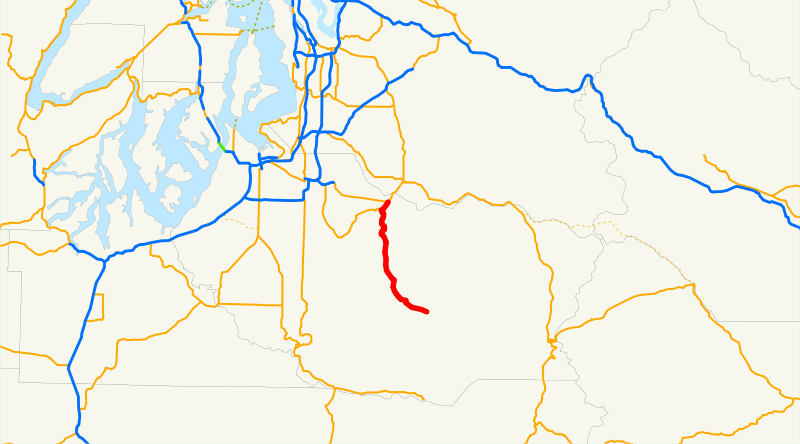 Rainier National Park, thence northerly to a junction with state route number 410 at Buckley. So here we are at the boundary of Mount Rainier National Park at the Mowich Lake entrance, where SR 165 begins. It's a dirt road. It's the only state highway in Washington that's still gravel. We should feel thankful it's the only one! The national park closed the gate a month ago, but that's most of a mile up the hill behind us here. It's time to crank up the Christmas music and hit the road -- but watch out for potholes, ice sheets, deep snow, and oncoming traffic! The clouds roll up the hillside, fog wrapping the trees. After ten miles or so, the pavement begins. 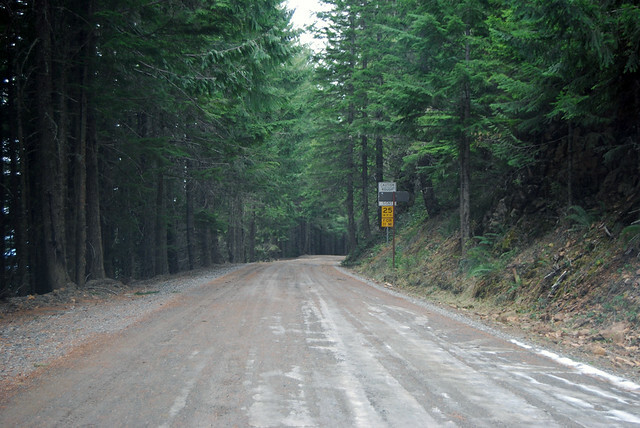 A mile after that, we meet the Carbon River Road, which goes to the real northwest entrance of the national park, whereupon we get a yellow line down the middle of the road. Fancy! Cross the one-lane Fairfax Bridge and continue down the valley. 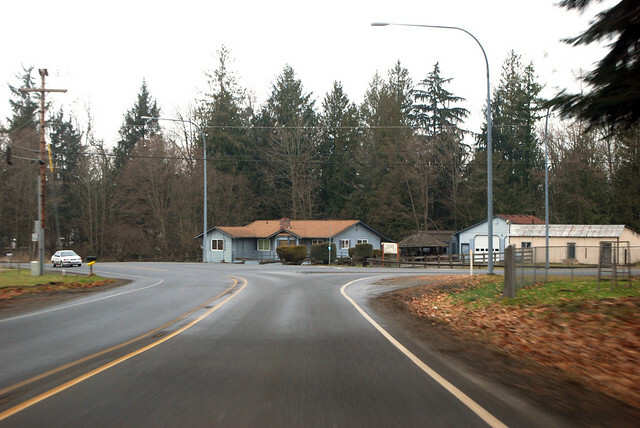 Zip by Carbonado, slow down for old-railroad-town Wilkeson, and be surprised by the community of Burnett. 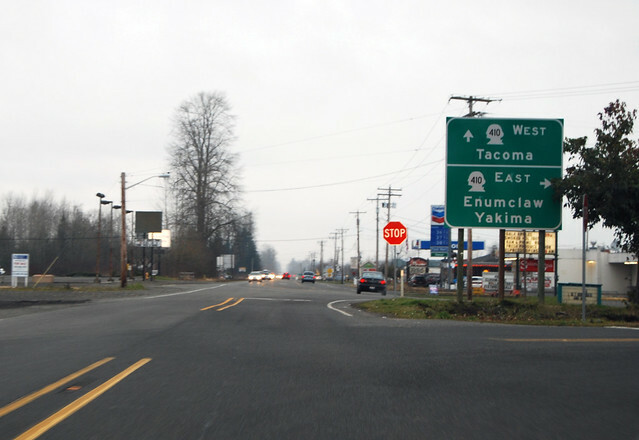 Up a little hill and you're at the junction pictured above, where SR 165 meets SR 162. Familiar? Turn right to stay on 165. Next time there's clear weather, I suggest you head up Highway 165 for some lovely views of the Mountain. If you don't have a high-clearance vehicle or don't want to clean the bottom of your car with snow and ice, you might want to wait six months or so and let it melt out. I have a feeling it will get deeper before then, though. This is one of my all time favorite country roads. 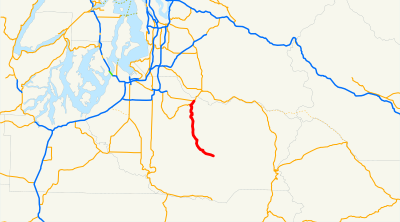 I have family in Bonnie Lake, and there's nothing like a slow drive up, starting with Buckley, then on to Wilkeson (we picnic at the old school), then wrap it up with a short tour of Carbonado (almost a ghost town again). All this just minutes away from raging civilization! It's one of my favorite highways, too, because my grandpa used to live in that area. He was in an old mining town called Fairfax. 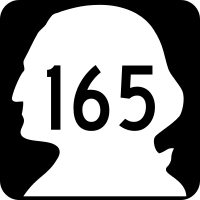 Instead of following SR165 into the state park, you just went ahead on the main road, I guess it's called the Carbon River Road. Beautiful area, lots of good memories of that place.